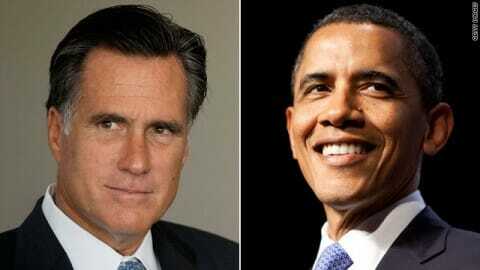 Romney Leads In "Toss Up" And "Battleground States"
Who says Obama is ahead in the polls? Politico, a Lefty political blog, reported today that Mitt Romney is leading the polls in the important “toss up” and “battleground states”. This week, Politico released its latest Battleground poll of the presidential race. Despite coming from the left-wing news site, the poll is one of my favorites. Its put together by respected pollsters from both parties, makes available its full cross-tabs and uses a very modest and reasonable turnout model for its sample. Including leaners, the sample in the poll is D+2. Nationally, Obama leads by 2-3 points, but, in the critical swing states, Romney now has the edge. Each candidate leads in states considered “safe” for their party. In safe GOP states, Romney leads by 8. In safe Democrat states, Obama leads by a massive 22 points. But, in the more numerous and more important “toss up” states, Romney leads by 4, hitting the critical 50% threshold. In the slightly different category of “battleground” states identified by Politico, Romney leads by 2, 49-47. Romney’s lead over Obama is powered primarily by his edge with independents. Romney leads Obama by 4 among the important swing voters. By 11 points, these voters think Romney would do better on the economy than Obama, 51-40. Romney also has a big edge with middle class families, who prefer him over Obama by 15 points, 56-41. The media has anxiously portrayed tonight’s debate as a critical moment for Romney to propel his campaign into the final stretch. They have built their analysis around the false narrative that Romney is losing ground against Obama. The Politico poll, however, shows that it is Obama who is losing ground in the campaign. The President needs a knock-out punch tonight. Some good news as we get ready for tonight’s debate.